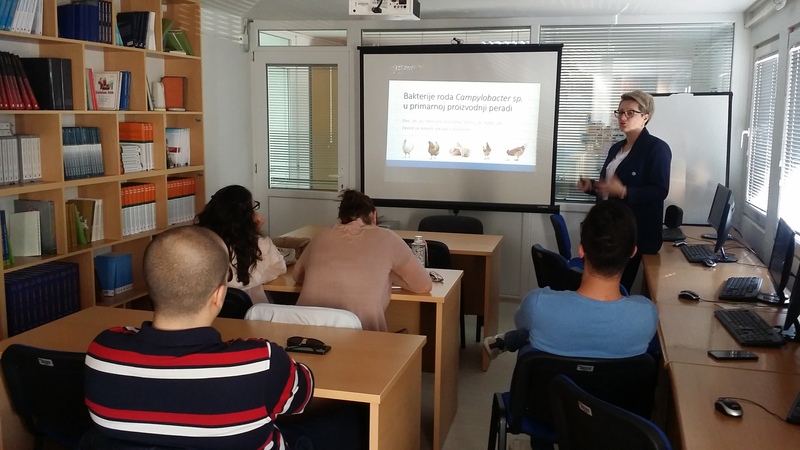 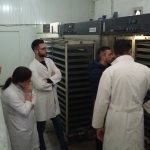 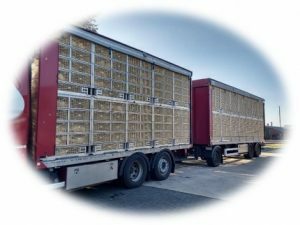 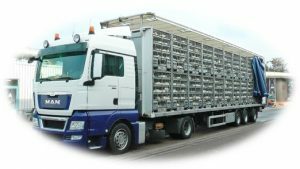 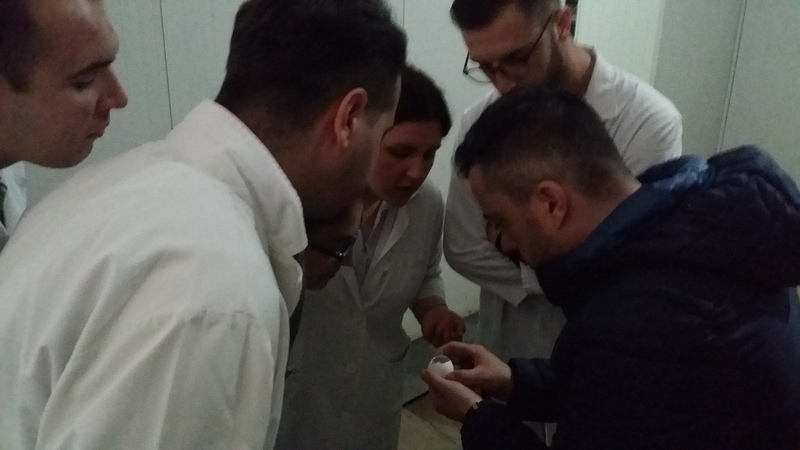 In the second half of March 2019 at the Department of Avian Diseases at the Faculty of Veterinary Medicine in Skopje Marijan Tanevski, DVM of Avifor company took part in the lectures as an expert from the field/industry. 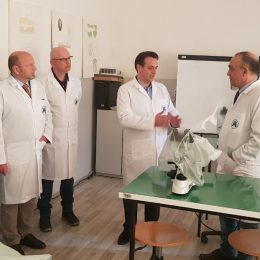 He presented two practical lectures as part of the program of the course avian diseases for the students in the 5th year, Husbandry and pathology of parent stock flocks and Technological processes in the hatchery station and common problems in the incubation. 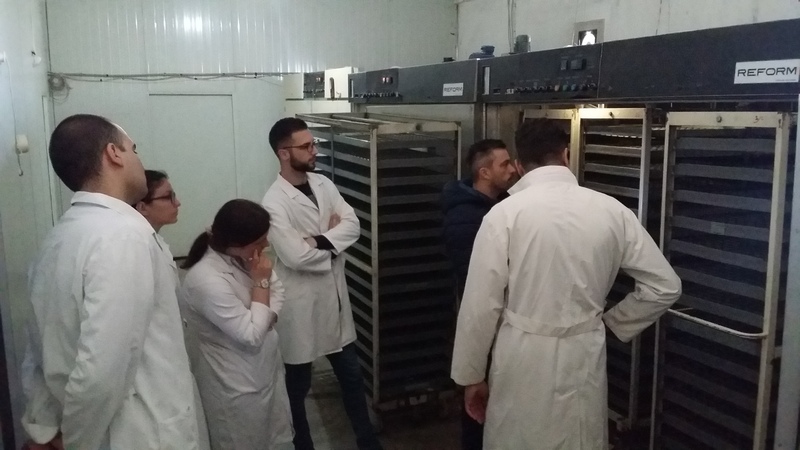 The activity was completed with the visit of the hatchery station Avifor where students practically got familiarized with organization and processes in the hatchery station. 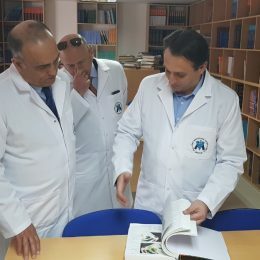 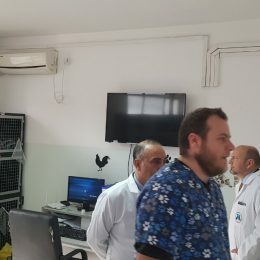 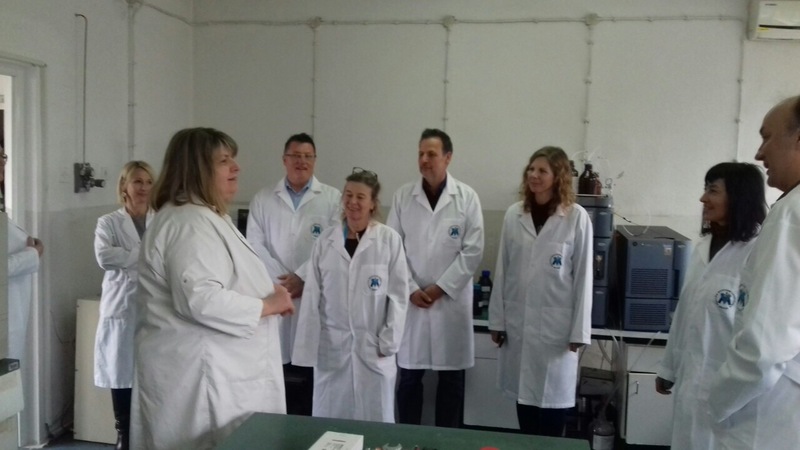 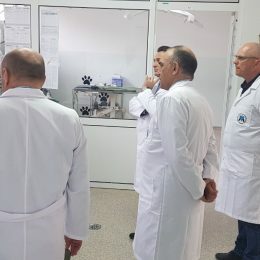 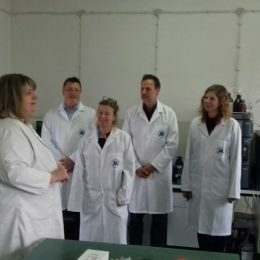 In the period between 1-3.04.2019 the Department of Avian Diseases at the Faculty of Veterinary Medicine in Skopje was visited by prof. dr. sc. 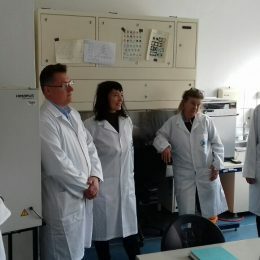 Danijela Horvatek – Tomić from the Department of Poultry Diseases with Clinic at the Veterinary Faculty in Zagreb, Croatia. 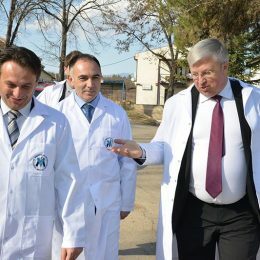 Prof. dr. sc. 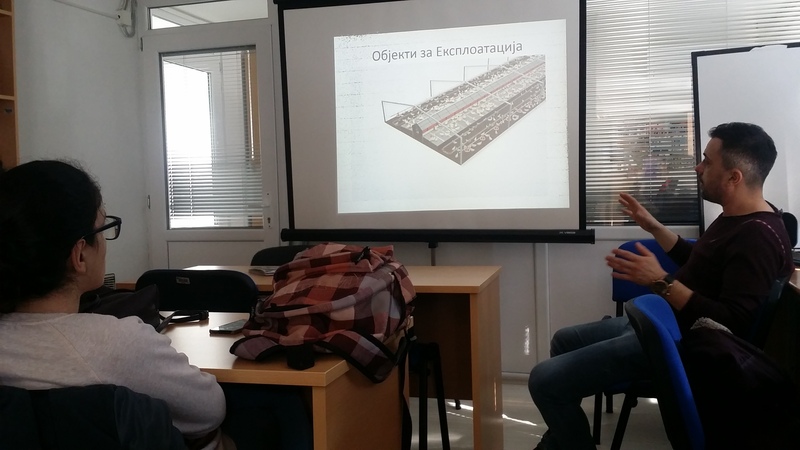 Danijela Horvatek – Tomić held sevral lectures as part of the program of the course avian diseases for the students of the 5th year. 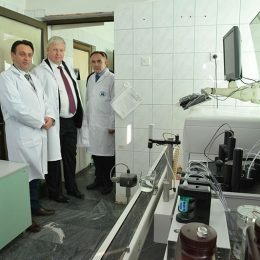 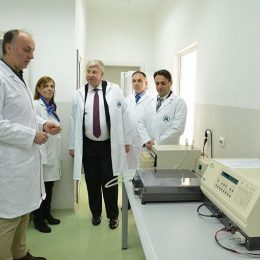 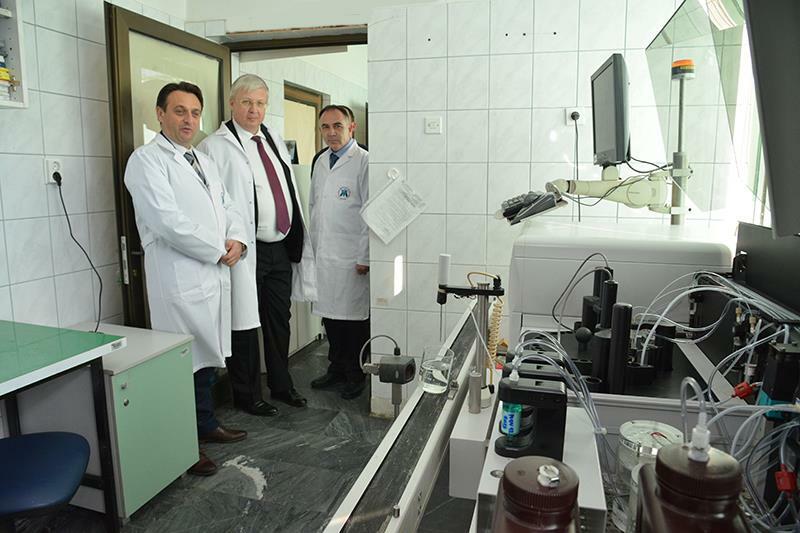 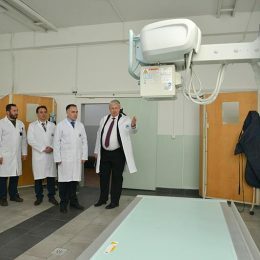 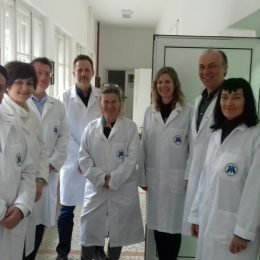 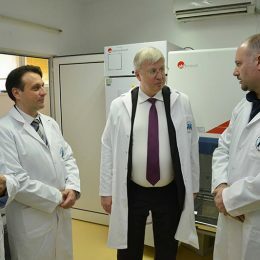 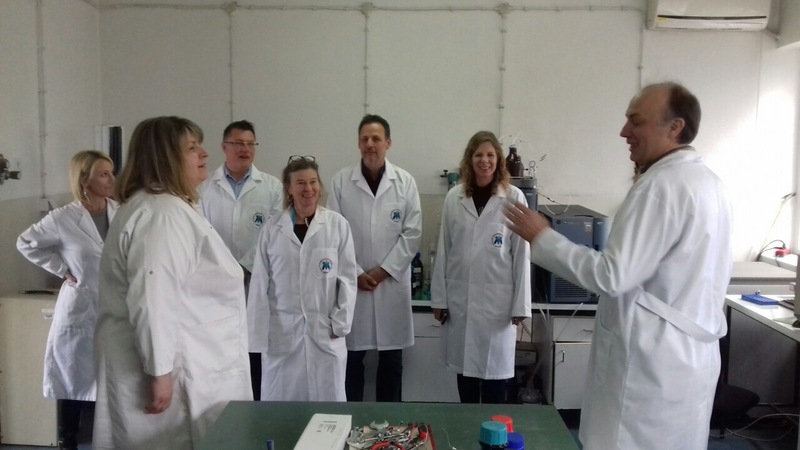 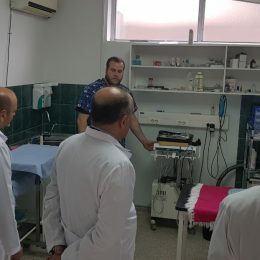 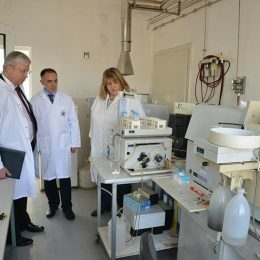 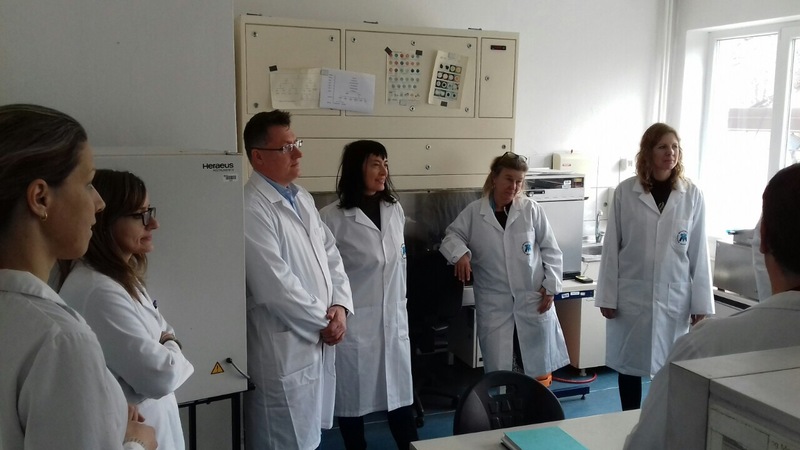 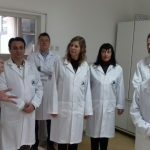 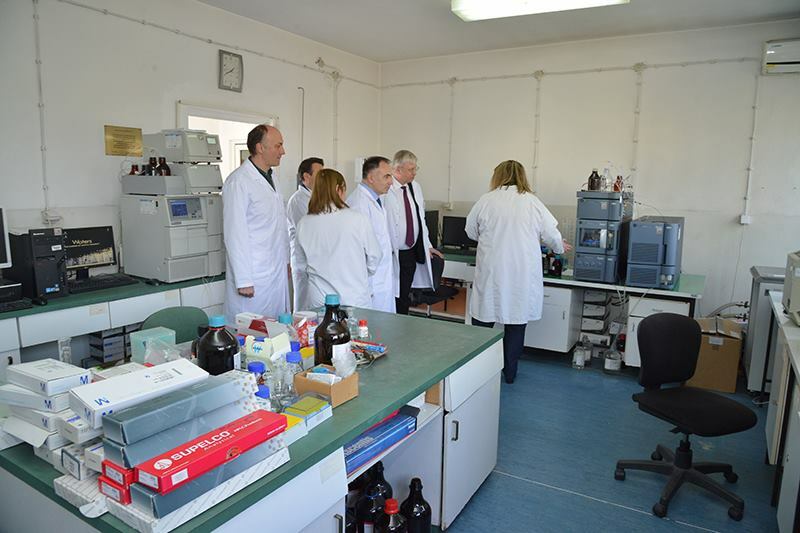 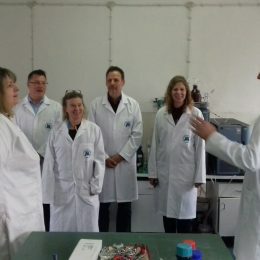 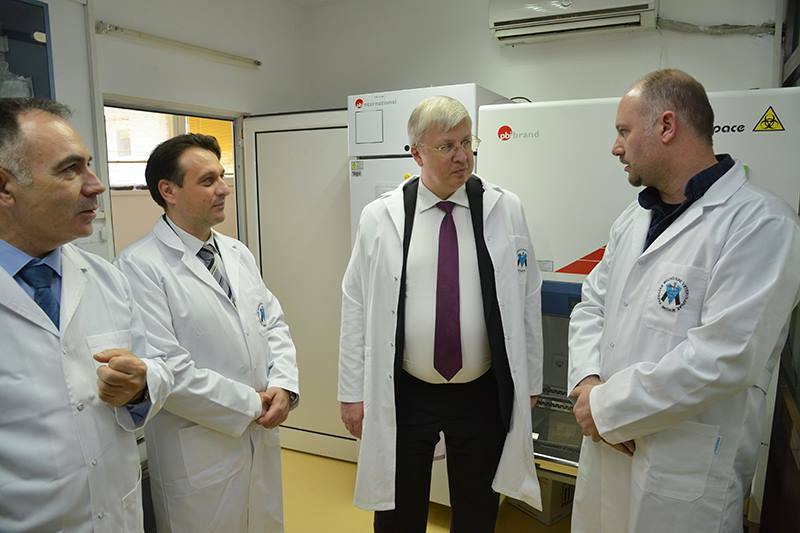 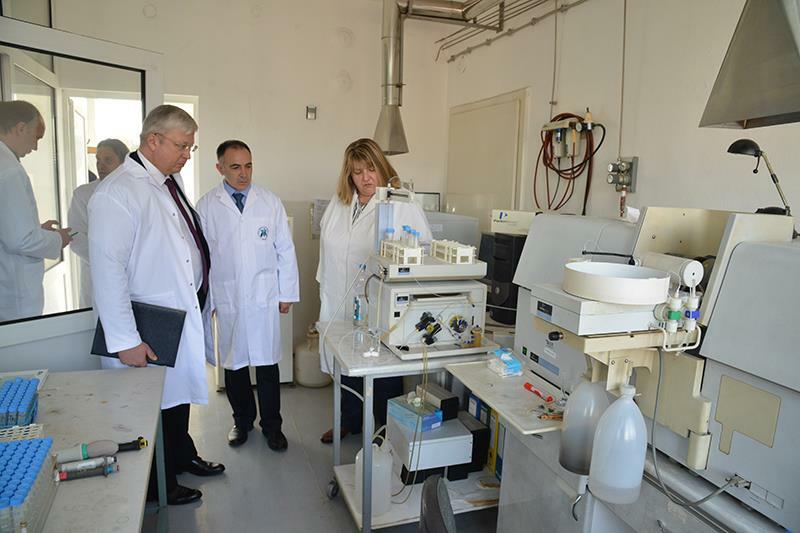 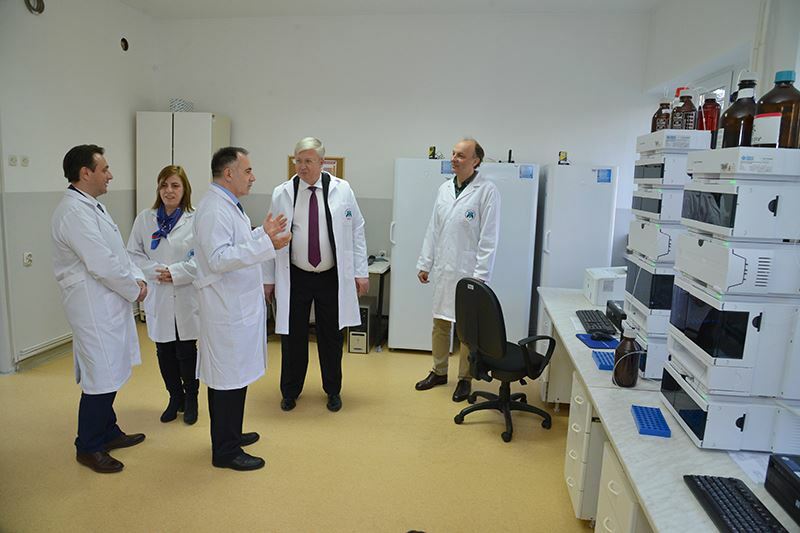 On March 14, 2019, experts of the World Health Organization visited the laboratory facilities of FVM-S. 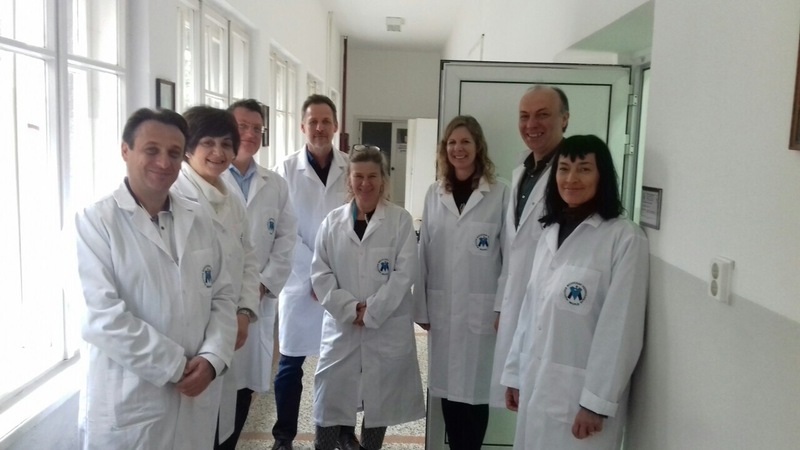 The expert team was from the external evaluation mission for the implementation of the International Health Regulations in cooperation with the Ministry of Health and the World Health Organization, the Regional Office for Europe. 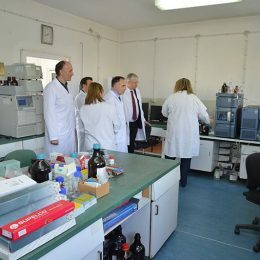 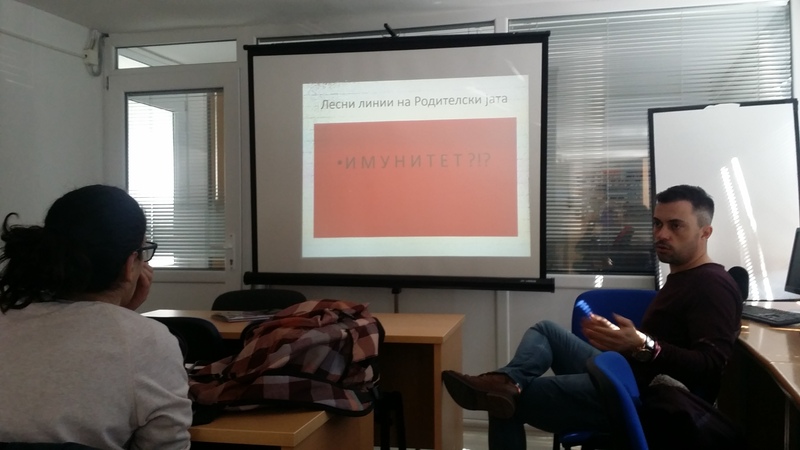 During the mission, a team of experts from the Faculty of Veterinary Medicine-Skopje participated in the preparation of answers on the Self-evaluation questionnaire for the International Health Regulations for specific areas in order to evaluate the health system of the Republic of Macedonia. 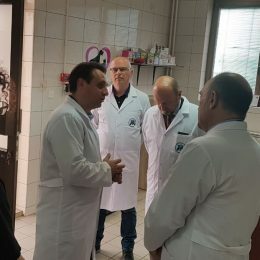 During this visit, WHO experts met with the Dean of the Faculty prof. Dr. Lazo Pendovski and members of the Dean’s Administration and experts from the Faculty in charge of conducting activities in the field of food safety and animal health. 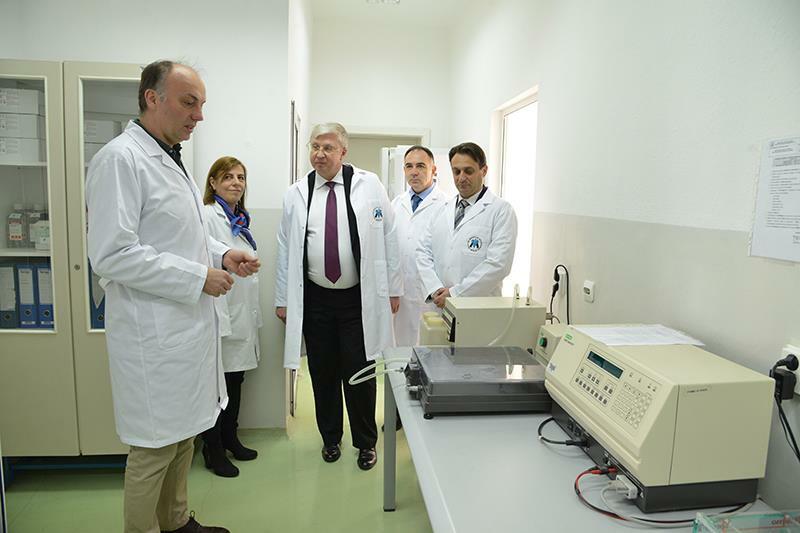 The visit was used to present the laboratory and technical capacities of FVM-S as an integral part of our country’s health care system. 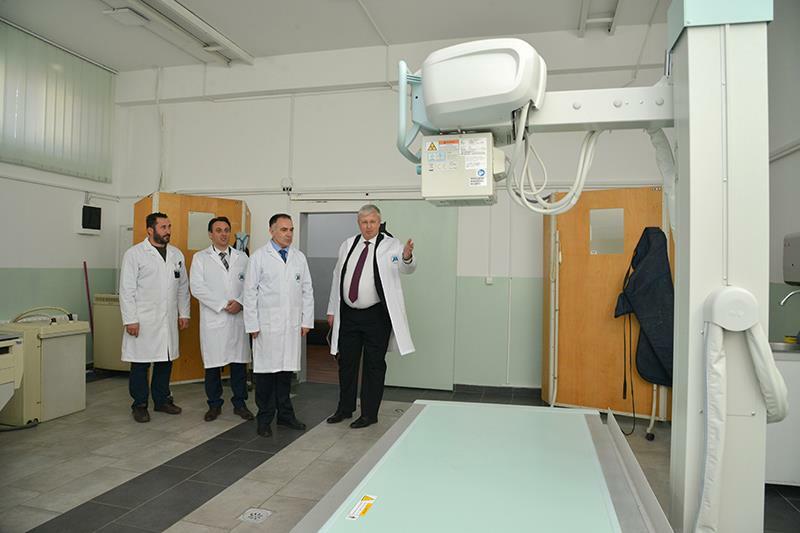 During the visit, it was once again emphasized that FVM-S fully makes available its facilities for the successful implementation of the provisions of the International Health Regulations in order to further improve the situation in the country. 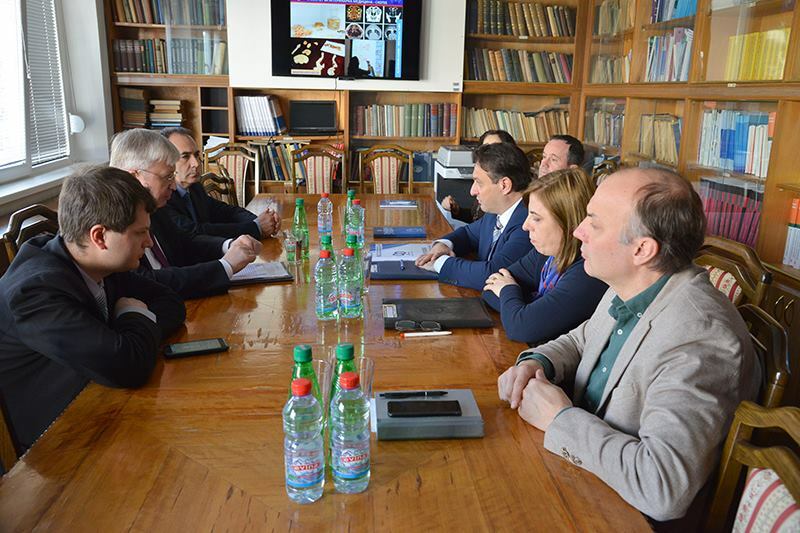 On March 8, 2019, the Faculty of Veterinary Medicine – Skopje met with the President of the European Federation of Veterinarians (FVE), Dr. Rafael Laguens, accompanied by the President of the Veterinary Chamber, Dr. Tomislav Nikolovski. 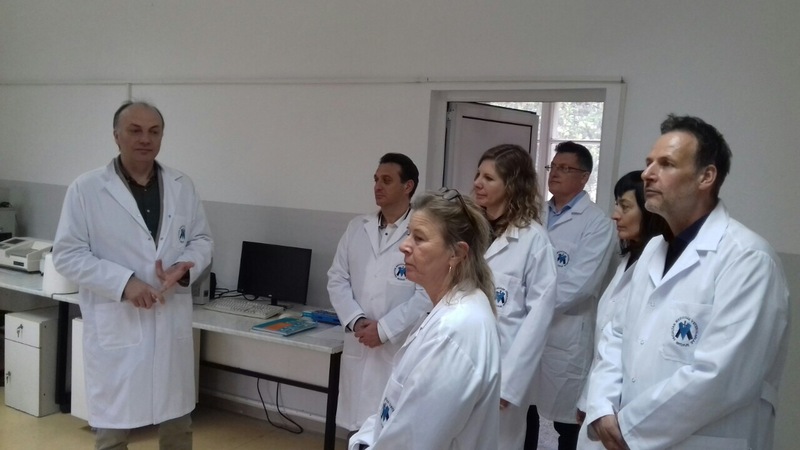 The Dean of FVM-S, prof. Dr. Lazo Pendovski presented the role of the Faculty in the creation of the new staff in the country, emphasizing the possibilities and capacities of the Faculty in order to achieve the standards of the EAWEE (European Association of Veterinary Establishments). 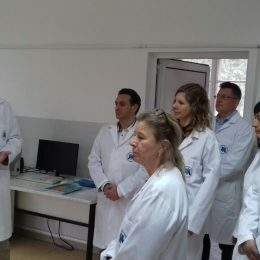 Dr. Raphael Laguens expressed the willingness and open support of the European Federation of Veterinarians (FVE), together with other nurses responsible for veterinary education in Europe (EAWE and RES) to support the processes of international accreditation of FVM-S which is a commitment and strategic goal of the Faculty. 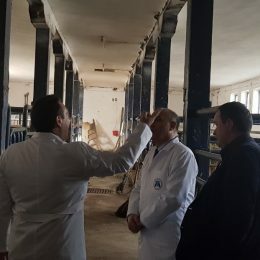 After a brief meeting, Dr. Raphael Laguens visited the facilities in which the Faculty realized its higher education activity in the field of veterinary medicine, quality control and food safety, and animal welfare and reproduction. 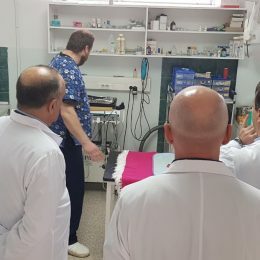 Also, the University Veterinary Hospital was visited where students of FVMS, future doctors in veterinary medicine acquire knowledge and skills for caring for the health of pets. 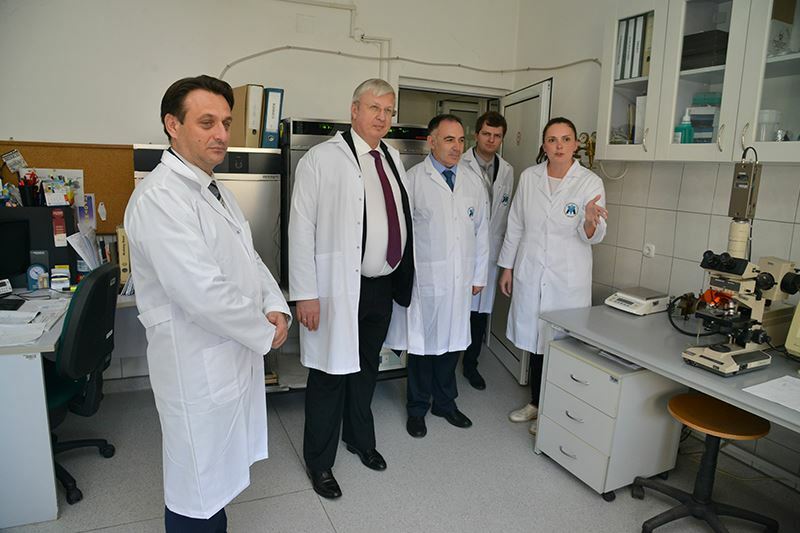 The Ambassador of the Russian Federation to the Republic of Macedonia, HE Sergei Alexandrovich Bazdnikin accompanied by the Attaché of Culture, Education, Science and Sport at the Embassy, ​​Mikhail Krapiva made a working visit to the Faculty of Veterinary Medicine – Skopje. 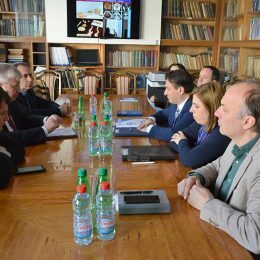 At the meeting with the Dean of the Faculty of Veterinary Medicine, prof. Dr. Lazo Pendovski, Dean’s Administration of the Faculty and Honorary Consul of the Russian Federation in Ohrid, prof. Dr. Velimir Stojkovski, the Ambassador was informed about the cooperation of the Faculty with the two largest Veterinary Universities in the Russian Federation – the University of Moscow and the University of St. Petersburg, which is realized through the joint participation in the work of the EAEVE and the VetIstanbul group, as well as the exchange of students among the institutions that will start in September 2019. 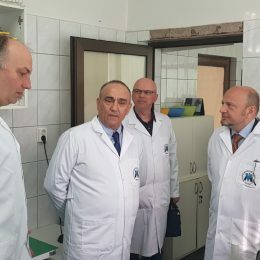 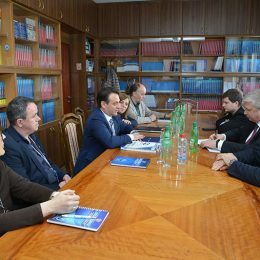 He also discussed the ideas of cooperation between the Faculty of Veterinary Medicine and the Rosshekhoznadzor in the field of quality control and food safety, which is of interest not only to both institutions, but also to the two countries. 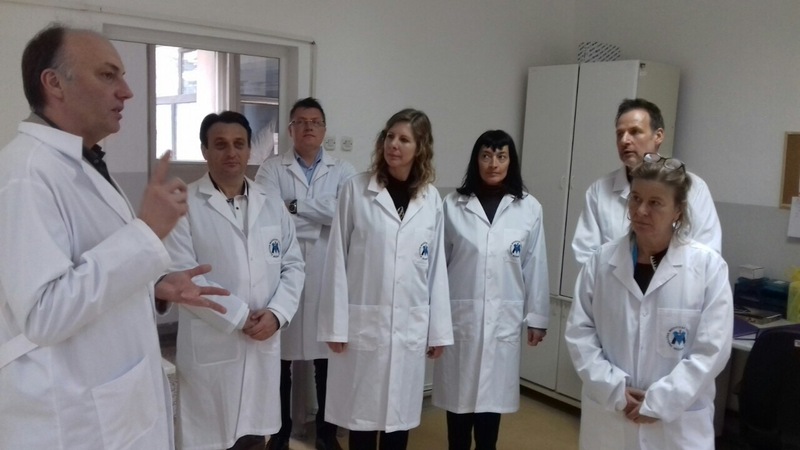 After the brief meeting, the ambassador visited the laboratories in which the Faculty realized its scientific and applicative activity in the field of veterinary medicine and control of the quality and safety of food. 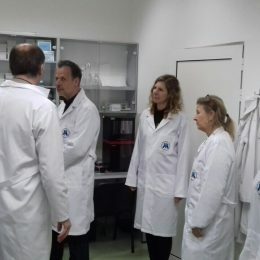 Центарот за благосостојба при Факултетот за ветеринарна медицина од Скопје е овластена институција од страна на Агенцијата за храна и ветеринарство да врши обука спроведува испит и да издава уверение за компетентност за возачите и надзорниците за превоз на живи животни и да врши обука на лица од собирни центри и добиточни пазари. 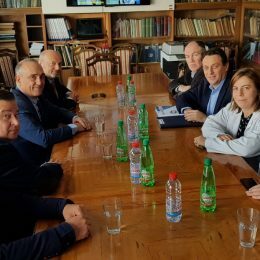 Овластување од Агенција за храна и ветеринарство. 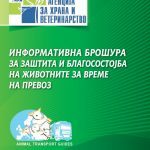 За таа цел Центарот за благосостојба на животните има изготвено програма за обука со која слушателите ќе се здобијат со соодветна стручна подготовка за основните постапки и методи на товарење, истоварање, превоз, сместување, фиксирање и ракување со животните. 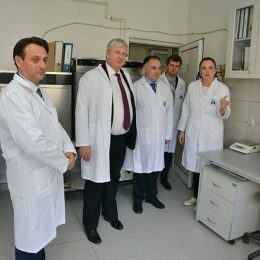 Обуката е наменета за лица кои вршат надзор на товарење истоварање, лица кои вршат превоз на живи животни како и за одгледувачите одговорни за подготовка на животните за транспорт. 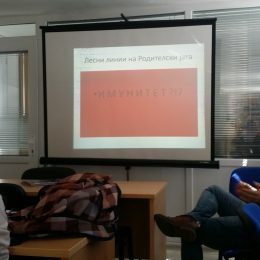 Обуката е во согласност со националната законска регулатива и основните правила за благосостојба кај животните. 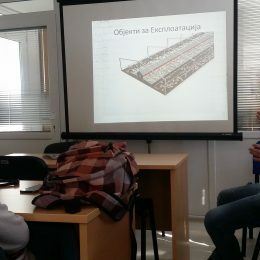 ** Во прилог треба да донесете копија од лична карта или скенирана да ја прикачите тука со барањето. 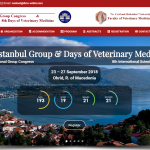 We are pleased to invite you to the joint meeting of the the 5th International Vet-Istanbul Group Congress and 8th International Scientific Meeting “DAYS OF VETERINARY MEDICINE 2018” which will be held in Ohrid, R. of Macedonia, from 23th to 27th September, 2018. 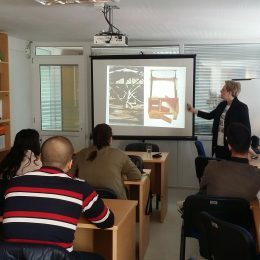 Ohrid is a small touristic city situated on the hilly shores of Lake Ohrid in the southwest of Republic of Macedonia with most profound cultural history of human kind. 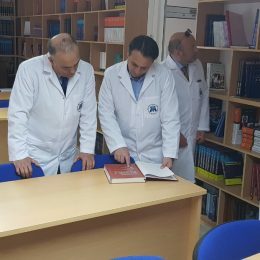 This year, we’ll be honored to host both meetings, aiming to encourage scientific and academic cooperation among researchers and Veterinary Educational Establishments (VEE) partners, by promoting different aspects of veterinary medicine and their value for the public good. 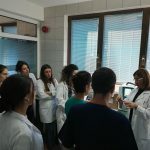 The event is intended to be attractive for all researchers, veterinary practitioners, official veterinarians, professors, PhD and post-doctoral students, offering a great opportunity to discuss the challenges and ongoing issues in the veterinary education and science. 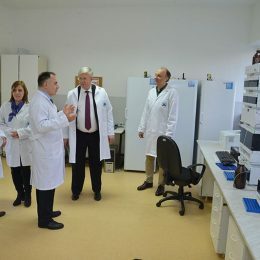 The meeting will retain the usual popular format, including a number of invited plenary lectures, short presentations and poster presentations. 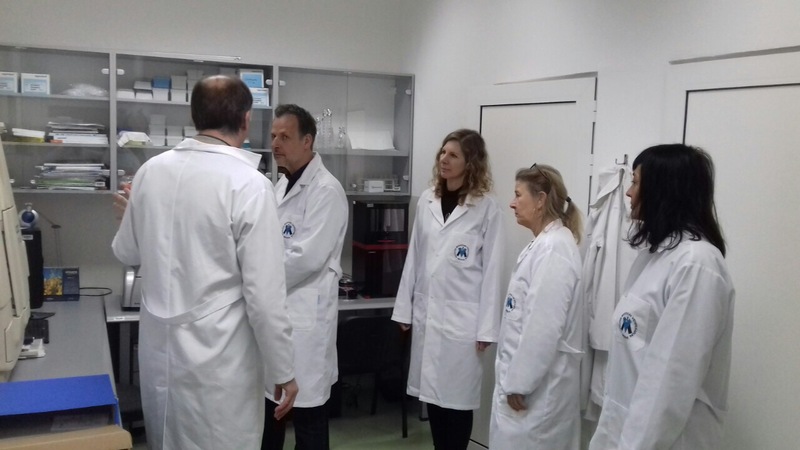 The scientific program will comprise a number of professionally delivered presentations, selected by the Committee based on scientific importance and novelty on the following topics: animal health, animal welfare and reproduction, as well as public health and food safety. 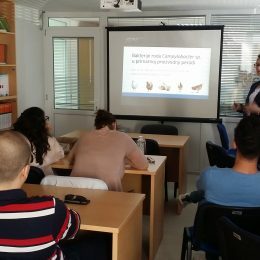 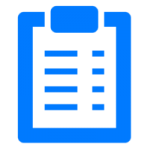 We sincerely hope that this will be a unique opportunity for you to present your recent research work and results. 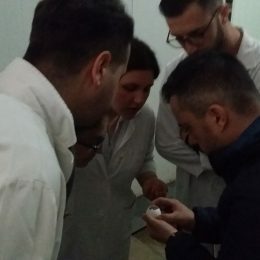 Additionally, through the networking events and created intellectual atmosphere you will be able to meet, discuss and exchange ideas with your new and old colleagues in different fields. 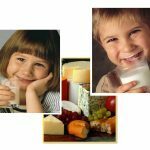 Briefly, these days will open new horizons and fulfill your work with ideas, friends and enjoyment. 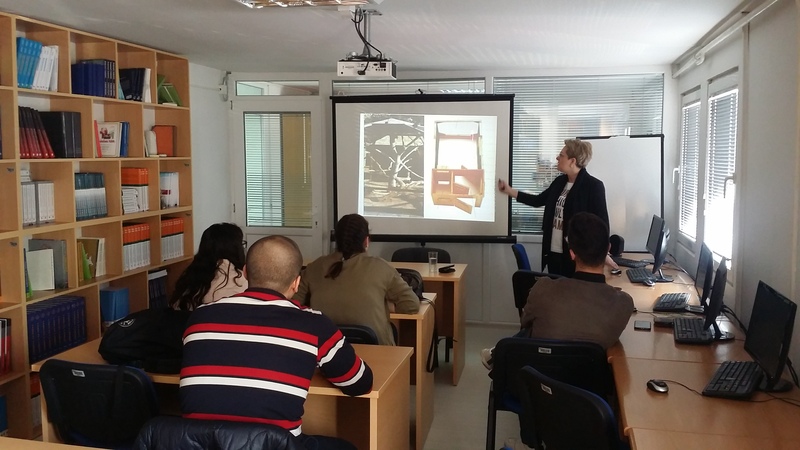 We look forward to welcome you in Ohrid this year!